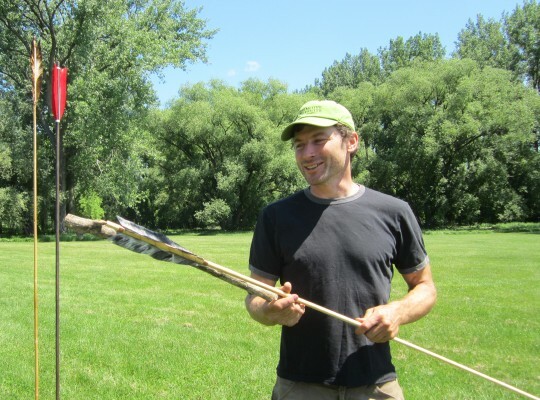 Atlatls designed by Thunderbird Atlatl are being offered as a reward for helping build capital for a newly created role playing game set in the MesoAmerican World. The game�s creator, Jason Caminsky, set up a Kickstarter page to fund the page. Fundraising is going well with five more days left. The first goal has been met and the creator, Jason Caminsky, has set a new goal. Hello, everybody! My name is Jason Caminsky, and I am the creator and lead designer of New Fire, a tabletop fantasy roleplaying/storytelling game inspired by the history and mythology of the Aztec-Mexica, the Maya, and the other great civilizations of Precolumbian Mesoamerica. I, along with a wonderful group of about 20 other contributors, have labored long and hard, combining extensive research with imagination to produce this game of adventure, excitement, and dreams. We are very proud of our work, and can�t wait to share it with you all! New Fire is not History. It is Fantasy. My goal was to create a fantasy setting using the history and mythology of Mesoamerica as its basis, the way so many other fantasy games use Europe as their basis. Mesoamerica is a uniquely beautiful, fascinating, and dramatic place, home to wonderful stories, exquisite art and culture, deeply moving spiritual beliefs, glorious architecture, and countless accomplishments that have been tragically under-appreciated by many. My greatest hope is to introduce these amazing concepts into fantasy gaming. To create this fantasy, I and my fellow collaborators have done a tremendous amount of historical research. We have consulted professors, researchers, and people of indigenous Mesoamerican descent, read mountains of books, attended museums and lectures, listened to traditional music, and watched movies and films (both historical and interpretive). We have even practiced some of the skills and trades of ancient Mesoamerica, such as atlatling, flintknapping, and pottery. We have learned as much as we could, and let the things we learned guide our imaginations. I want to state up front that there is nothing official or definitive about New Fire�Mesoamerica is a boundlessly complex and fascinating place, and it would take an entire lifetime of research to truly do justice to its nuances and depth. 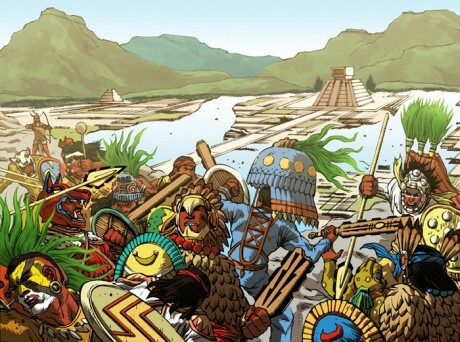 We have come to greatly admire Mesoamerica, and hope that our fantasy interpretations are entertaining and enlightening. But our interpretations are just that�our interpretations. We are not part of these cultures, and we do not speak from a perspective of authority. But we have worked very hard to try to at least speak from an informed, educated, and respectful perspective. Check out the game and fundraising on the Kickstarter page. 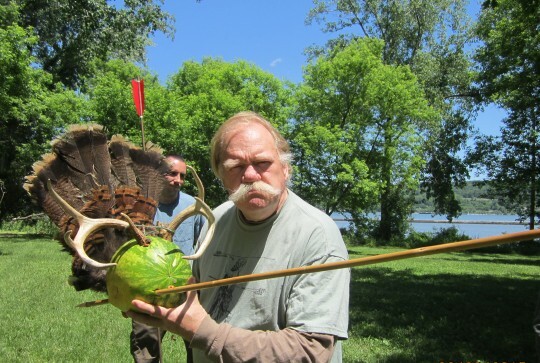 Make Magazine Video showing our Kanakadea Atlatl Kit! 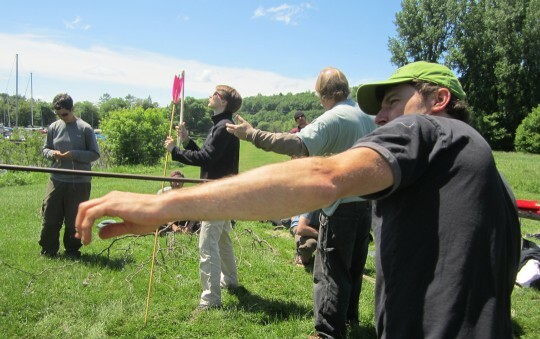 Make Magazine published an article last fall in its Kit issue about our atlatl kits and how they worked. They asked us if they could review the kits last summer for the article. The review appeared in the magazine’s Siege and Ballistics Kits section. Here’s a You Tube video showing our Kanakadea kit being used. 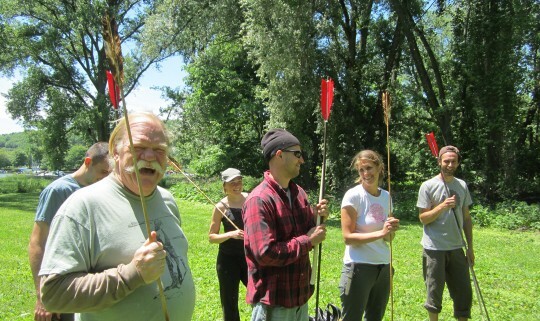 The section about the our atlatl kit starts at about 4:58 if you don’t want to watch the entire video!